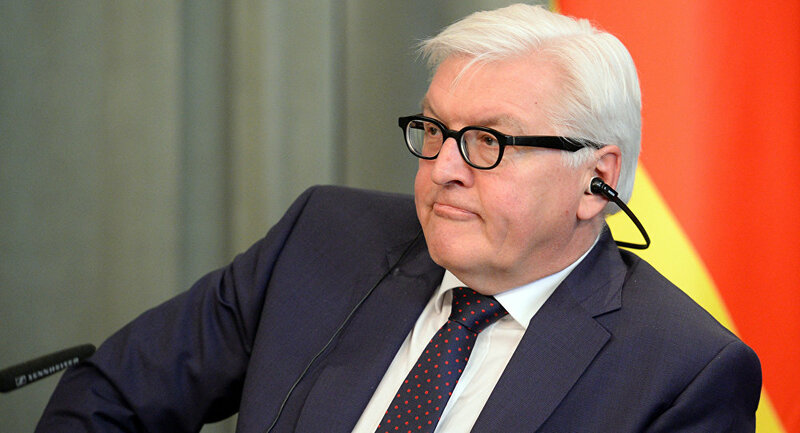 BERLIN (Sputnik) - The Syrian crisis has zero chances to be settled without an improvement of the Russia-US relations, German President Frank-Walter Steinmeier said. "Eventually, nothing will happen without neighbors in the region, but nothing will begin without the United States and Russia. The super powers bear great responsibility. Here it is necessary to take the first step. [Russian President Vladimir] Putin and [US President Donald] Trump have obligations to the world. If Washington and Moscow do not find ways to narrow differences on Syria, there will be zero chances for improving the situation in Syria," Steinmeier told Bild am Sonntag. According to Steinmeier, "today, for the first time in seven years of the war in Syria, there is a serious threat of direct confrontation between the US and Russian weapons systems on Syrian soil." On Friday night, the United States, France, and the United Kingdom launched strikes on a number of targets in Syria in response to the alleged chemical incident in the Damascus' suburb of Duma. The Western states have accused forces of President Bashar Assad of an attack with the use of chemicals in Duma. The Syrian leadership denied any involvement in the attack, and invited the experts from the Organization for the Prohibition of Chemical Weapons (OPCW) to investigate into the reports.